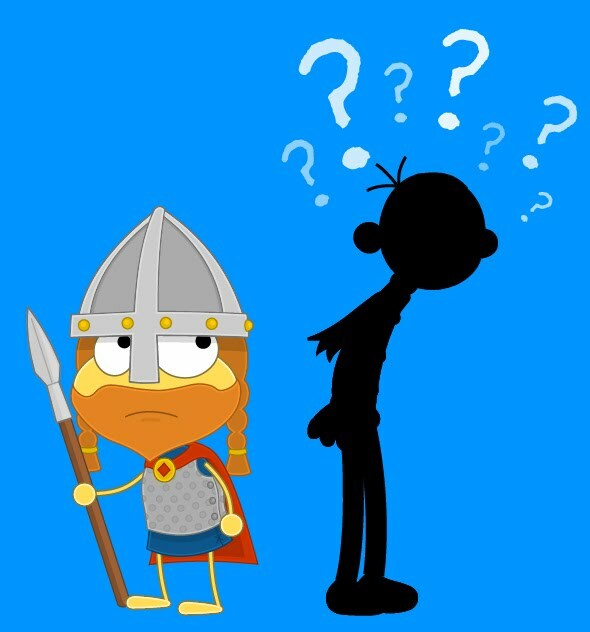 Who's guest-starring in the next Poptropica Island? We'll have the official announcement later in the week. There's definitely something... familiar... about that silhouette. Wild West Island will be available to everyone on March 11 -- two long, long weeks away. Members can play it right now. If you're not a Poptropica Member yet, you are really missing out! We have a lot of Islands planned for this year, not to mention some fun new features. Make sure you're getting the most out of Poptropica. Become a Member today! Maybe I'll see some of you Poptropica Members on Wild West Island this weekend! There's a new costume floating around out there. You can't buy it in the Poptropica Store. You can't costumize it from another character. But you can find it somewhere on Wild West Island. Congratulations to the first 10 finishers of Wild West Island! Many other Poptropicans have have finished Wild West Island, and we can't wait to see even more of you earn your next Island medallion in the days and weeks to come. Remember, Wild West Island is currently open to Poptropica Members only, and will be available to everybody in a few weeks. Wild West Island is now available for Poptropica Members! Poptropica Members can log on now to play Wild West Island! Head on over to Poptropica and see if you can bring the notorious El Mustachio Grande to justice! If you don't yet have Membership, find out how you can become a Member, so you can play Wild West Island before anyone else! Our spies on Wild West Island have managed to smuggle out this picture of El Mustachio Grande, the rootin'est, tootin'est fiend on the frontier. We must remind you, however, that even a bandit as nasty and foul-smelling as this one is still innocent until proven guilty, which is why we've taken the liberty of obscuring his image here. To see the real El Mustachio Grande, you'll have to play Wild West Island, coming soon to Poptropica! Hopefully, winter is treating you well so far. It is not treating all of the Poptropica Creators so well. We are covered in snow! It's enough to make a salty old pirate daydream about taking a trip to the beach. Mythology Island always has a warm and safe place to swim, under the watchful eye of Aphrodite. I always prefer a rejuvenating dip in the waters of the Pirate Outpost. That's how Captain Crawfish got his groove back! Oh, wait: It's still snowing outside. Drat.